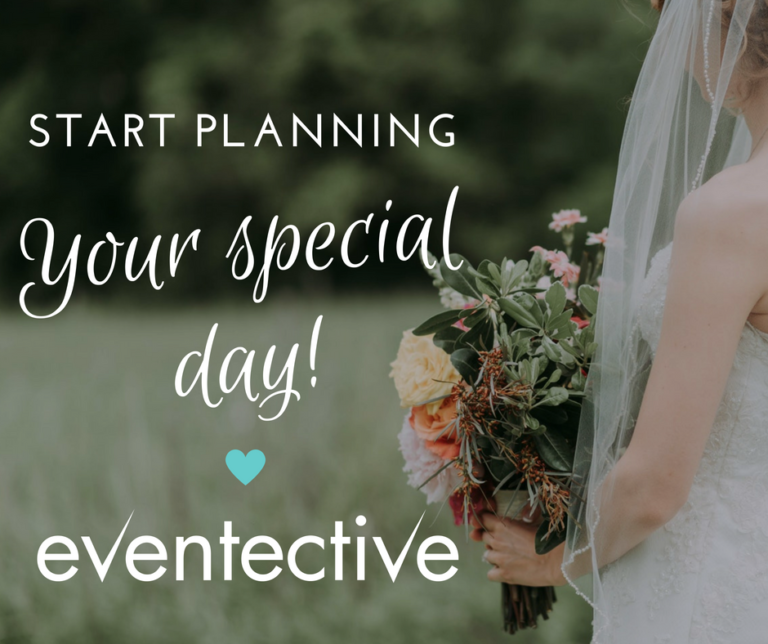 Beginning to plan your wedding and looking for wedding ideas on a budget? We hear you, anything wedding related can be exorbitantly expensive, drying up your wedding budget fast. The average wedding in 2018 costs anywhere from $20,000 – $30,000. Many brides who can’t afford to spend big are looking for areas to trim costs. What used to be desired by the modern bride, like having a large wedding, is now changing to small intimate weddings to save money. As wedding trends continue to change, brides are getting smarter and thriftier as time goes on. Brides who don’t mind putting effort into their wedding planning are the ones who discover the most saving opportunities. Some brides even choose to forgo a new wedding dress for one they found at a thrift shop! Getting creative with your wedding details is where you can expect to find budget friendly opportunities. As we mentioned above, many brides are coming up with great wedding ideas on a budget that we would love to share with you. Below are some of the ones we think would be the most beneficial to help save you money on your special day. Avoid getting married on the most popular wedding day: Saturday. Saturday wedding packages are almost 3 times more expensive than weekday packages. You could also consider having a Sunday wedding as these typically tend to be less expensive than Saturdays. Many venues have off-season wedding packages for those months that don’t get a lot of love. Dates are typically available at the end of the season and the week before the season begins. If you have both celebrations in one space, you do not need to worry about transportation costs. Everything is already there! Some brides have guests migrate outside after the cermony for a cocktail hour to come back to a reception arrangement. Simple! There are thousands of beautiful college campuses out there that offer their spaces for weddings. You’d be surprised how cost-friendly their rates are. Looking to save costs on a venue and catering? Consider booking a restaurant with a banquet space. Many times restaurants combine catering packages and the venue rental into one affordable package price. Finding a secondhand wedding dress that fits you and looks good can be a challenge- but it’s been done before! Brides that are handy with sewing can turn an old dress into a brand new one. Some places to check are secondhand thrift stores, OnceWed, and PreOwnedWeddingDresses.com! Instead of serving a sit-down dinner, serve hors d’oeuvres, champagne, and dessert. You could save thousands of dollars this way as the average catering costs run anywhere from $7,000- $15,000. Food trucks are on trend right now for weddings – especially smaller weddings. Many of their menu items can be customized beforehand and they are less expensive than hiring a catering company. Instead of ordering a large tiered wedding cake, consider a smaller cake just for the bride and groom. Have an additional sheet cake available for cutting. You can even skip the cake and serve donuts or cupcakes. While being able to offer an open-bar is nice, opting for drink tickets is more cost friendly. Choose how many tickets your guests get for free drinks and any additional ones are on them. You do not necessarily need to hire a florist for your flowers. Some brides have their bridesmaids run down to the flower shop the morning of the wedding and choose flowers for the reception. Places like Trader Joe’s have a daily selection of fresh flowers, perfect for picking up for events. No one said a wedding needed to have flowers – why not skip them altogether? Some brides only get a single stemmed rose for themselves and find something else for their wedding party to carry. Some alternatives to flowers are lanterns and ribbons. Have a Spotify account? Great! Set up your phone or laptop to play music through speakers for your reception. Ask yourself if you really need all the extra bells and whistles. Your wedding is technically all about love, sometimes, simple is better. In the months leading up to your wedding day, keep your eye out for sales on wedding decor items. If you hit a sale at the right time, you can uncover some great finds. Now that you’ve discovered some ways to save costs at your wedding, start creating a budget for your wedding. Have some other wedding ideas on a budget? Share them below! Pumpkin Donuts, Apple Pie, or Maple Ice Cream? How Big Should Your Wedding Party Be?